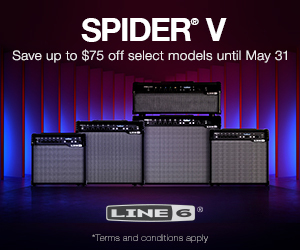 Line 6 Spider V Promo! Sweetwater $9600 PRO DJ RIG GIVEAWAY! Win a PRO DJ RIG from Sweetwater! Red Alert — Incoming from Epiphone! Standby Switches – Everything about them! Everything you ever wanted to know about Standby Switches! If I'm dead, you've been dead for weeks. 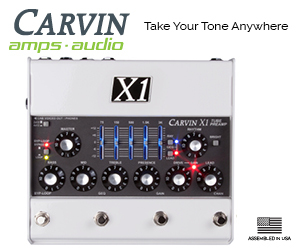 Why does a tube amp always need to be connected to a cab? Should we leave the Amp on standby? COPYRIGHT STRIKES DISCUSSED WITH A LAWYER! HOW I USE THE LINE 6 HX STOMP – LIVE DEMO & OVERVIEW! Dennis Kager – P2 – FENDER’s GO-TO REPAIR SHOP! REMEMBER GORILLA AMPS ??? Best NAMM Interview yet. Baroni Lab! KILLER AMPS too!!! I learned so much about Supro from this interview alone. Okay folks, Sweetwater has done it again. 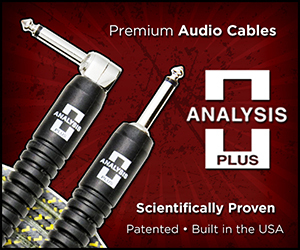 This time, a $15,000 Ultimate Live Sound Giveaway. Click here, or the image below to get in on it.